Motor starting contactor is one the most common devices used to start low and medium voltage motors. 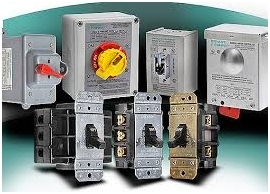 In general terms, a contactor in an electrical device that switches itself on and off, in an attempt to protect electrical equipment when dangerous overloads begin to operate. These types of contactors are also known as magnetic controllers. It should be noted that, motor starting contactors are not designed to function as short-circuit breakers; in fact, they are designed to optimize the performance of low and medium voltage motors, and increase their life, by supporting them against the switching overloads. Bearing this in mind, one should understand that, in spite of having a contactor in place, electric circuit still needs a circuit breaker for protection against short-circuits. Note: Low and medium voltage motor starters are available with ratings as less as a fraction of a HP (horse power). These contactors can be of a great help in increasing the efficiency and the lifespan for low and medium sized motors which are mostly used for domestic purposes. Low power contactors are also available in the form of control switches, which can be operated manually. These are known as manual controllers. They can be defined as a single device or a group of similar devices that help supervise the power that is supplied to a motor (or any electrical equipment) from the mains. Controllers are generally pre-programmed to operate under certain range of voltages that are pre-specified and are deemed to be safe, for the electrical equipment. 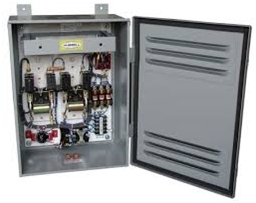 Low and medium voltage motor starters are also available as a combination of both contactors and controllers. This means the contactor in the electrical circuit can be controlled by humans externally with the help of control switches. Depending on the contactors and controllers in use, low voltage starters can be classified into Class A, Class B and Class V.
All of these variations are available in either manual or magnetic controls. These starters are capable of withstanding voltages of up to 600V and can efficiently encounter overloads under normal operating conditions. They are not capable of encountering overloads, faults or short-circuits that occur beyond the operating overloads. Class B: The Class B type starters are meant for motors that work on direct current (DC). They are of air-break starter type, and are available in either manual or magnetic controls. These starters are capable of withstanding voltages of up to 600V and can efficiently encounter overloads under normal operating conditions. They are not capable of encountering overloads, faults or short-circuits that occur beyond the operating overloads. Class V: The Class V type starters are meant for motors that work on alternating current (AC). They are of vacuum-break starter type and are available only with magnetic controllers. These starters are capable of withstanding voltages of up to 1500V and can efficiently encounter overloads under normal operating conditions. They are also not capable of encountering overloads, faults or short-circuits that occur beyond the operating overloads. 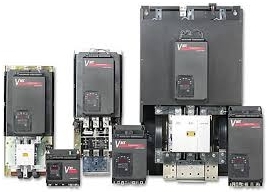 This implies that, all most all types of low voltage motor starters available today are not capable of dealing with short-circuits that occur above the operating overloads. However, medium voltage motor starters are able to achieve this feat with much ease. There are two basic types of medium voltage motor starters. Class E1: As any other starters, Class E1 starters are also capable of starting and stopping a motor. Apart from this, these starters are also able to interrupt short-circuits and faults that occur above and beyond operating overloads. They employ vacuum as an interruption medium to bypass the electrical equipment, from short-circuits and faults. Class E2: Class E2 starters are also capable of starting and stopping a motor. 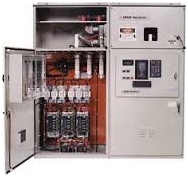 Apart from this, these starters are also able to interrupt short-circuits and faults that occur above and beyond operating overloads, and are equipped with fuses, that are capable of detecting the slightest of the interruptions, and isolate the electrical equipment instantly. Class E2 type starters also employ vacuum as their medium to interrupt short-circuits and faults. Thus, the above mentioned five types are the most widely used starters as far as low and medium voltage motors are concerned. Depending the voltage rating and the application if the motor, once can choose the best starter that fits their needs. However, note that starters should always be chose on the basis of their ability to increase the efficiency and lifespan of a motor. They should not be chosen as a replacement for fuses or circuit-breakers. What’s your opinion on that article? Feel free to comment in the comments section below. or copy this trackback: http://engineering.electrical-equipment.org/energy-efficiency-motors/5-most-common-starter-device-types-lvmv-motor-starters.html/trackback from your own site.